Recorded and mixed on RADAR 6, with the Classic 96 I/OWritten by Jim Woodyard and Brett Wade ¬© 2005, Demo recorded by Jim Woodyard at Creation Studios, Burnaby, B.C. Canada iZ’s Classic 96 analogue I/O cards maintain high-quality, signature iZ audio without compromising disk space. Never harsh or biting, the iZ Classic 96 converter cards are optimized to bring clear, transparent sound to rock and live recording applications. The Classic 96 analogue I/O cards boast the same warmth, bottom end, and performance characteristics as the historic Classic analogue I/O cards, but with the sample rate range extended to 96 kHz.Read more about Sound Technology. Recorded and mixed on RADAR 6, with the Ultra Nyquist I/OWritten by Jim Woodyard and Brett Wade ¬© 2005, Demo recorded by Jim Woodyard at Creation Studios, Burnaby, B.C. Canada The long awaited follow on to the legendary Nyquist (96 kHz) and S-Nyquist (192 kHz) analogue I/O cards – the Ultra Nyquist analogue I/O option cards. With lower noise and distortion than even the famed S-Nyquist design, the Ultra Nyquist analogue I/O boards combine the best attributes of both the Nyquist and the S-Nyquist into one unified design. iZ Technology’s Ultra Nyquist analogue I/O cards will lift the blanket off any mix. Characterized by rich, warm tones, with incredible presence and crystal clear highs, the Ultra Nyquist converters preserve audio integrity by providing the highest high-fidelity conversion possible on any recording.Read more about Sound Technology. 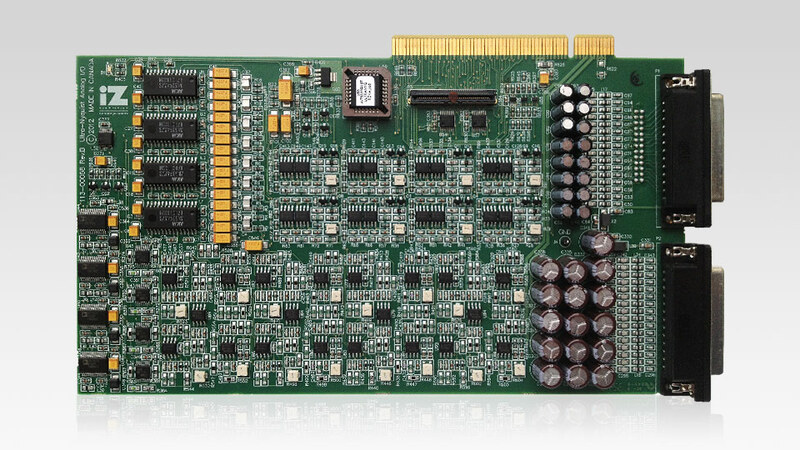 Up to 3 x 8 channel analogue I/O cards may be installed for a total of 24 channels of analogue I/O per chasis.